Our latest release enables you to allow expired Concessions to be redeemed. This feature will be rolled out over the next few weeks. 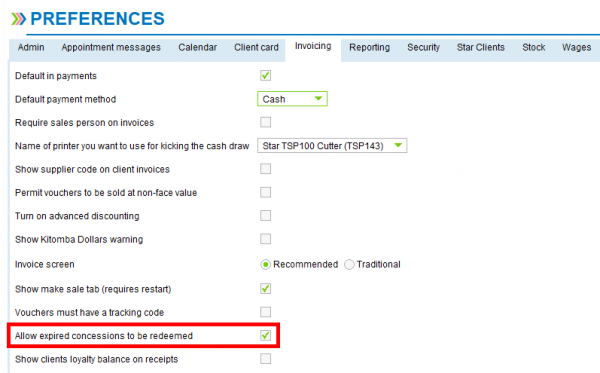 In the Invoicing tab in your Kitomba preferences you now have the option to ‘Allow expired Concessions to be redeemed’. 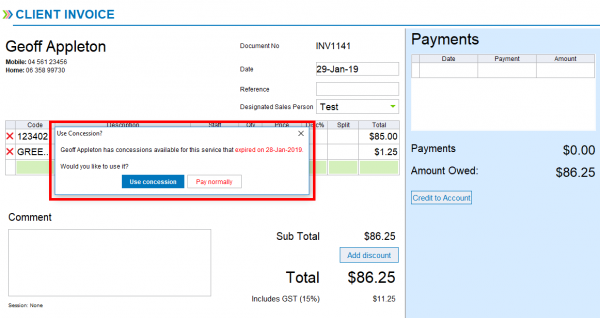 By selecting this preference, if a client has an expired Concession for the service you’re invoicing them for, you’ll be asked on the invoicing screen if you’d like to use the expired Concession or have them pay using another method. To learn more about this feature, visit our support guide.